As part of its CSR policy, APO Group gives every year the opportunity to African journalists and bloggers to attend exclusive events held in the largest cities of the continent. APO Group (www.APO-opa.com) is delighted to announce the launch of its prize draw to win an invitation at the Africa Hotel Investment Forum (AHIF) (www.Africa-Conference.com). The prize draw reflects the company’s DNA and commitment to supporting journalism in Africa by responding to one of the biggest challenges local professionals face: resources constraints and limited networking opportunities. 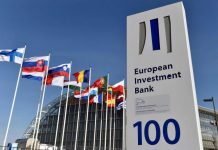 The winner will fly to Kigali, Rwanda, to participate in the prestigious hotel investment conference, on October 10-12, 2017. 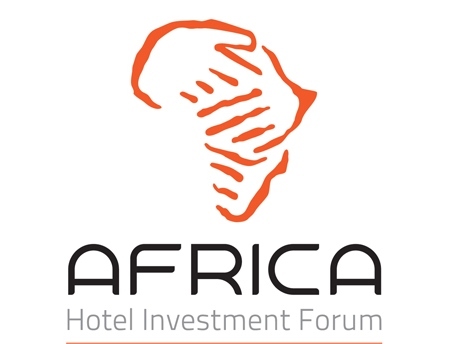 Every year since 2011, the Africa Hotel Investment Forum (AHIF) gathers top-tier international hotel investors, key industry players, Governments as well as National representatives at a single place. A unique moment for meeting counterparts and gaining an overview of the various perspectives on Hospitality and Aviation trends and how they will impact and shape the African industry in the future. For three days, participants are given the opportunity to attend exclusive conferences conducted by key influencers and benefit from their respective expertise. 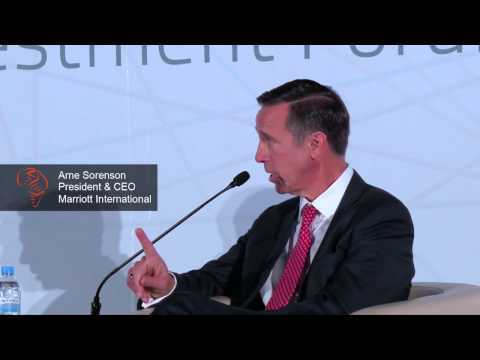 Last year were present leading figures including Arne Sorenson, President and CEO of Marriott International, Wolfgang Neumann, CEO Rezidor Hotel Group, Antoine Guego, COO of AccorHotel, Patrick Fitzgibbon, SVP Development EMEA of Hilton Worldwide – to name a few – who seized the opportunity to unveil their new hotel projects on the African continent. Valuable insights for reporter Aggrey Mutambo from Nation Media Group who won the 2016 prize draw and had the chance to join the event. It is extremely important for us to help African journalists who very often have difficulty in travelling to cover stories compared to their counterparts in the rest of the world. In September 2016, reporter Aggrey Mutambo from Kenya has won APO’s invitation to attend the Africa Hotel Investment Forum (AHIF) 2016, the leading hotel investment conference in Africa. 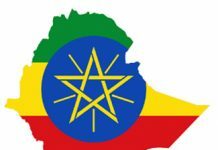 The three previous previous recipients of the AfricaCom invitation were Rwandan science writer Aimable Twahirwa, journalist John Churu from Botswana and Kenyan blogger Lilian Murugi Mutegi. They made the trip to South Africa to discover cutting-edge technologies and acquire new knowledge on African digitalization dynamics. Beyond providing support to journalists, APO Group also sponsors the APO Energy Media Award and the APO Media Award. 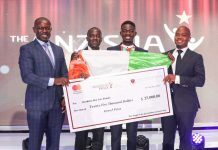 Winners receive a grant ($500 per month for a year), a laptop as well as one intercontinental flight ticket to a destination of his or her choice and one year of access to over 600 airport VIP lounges.